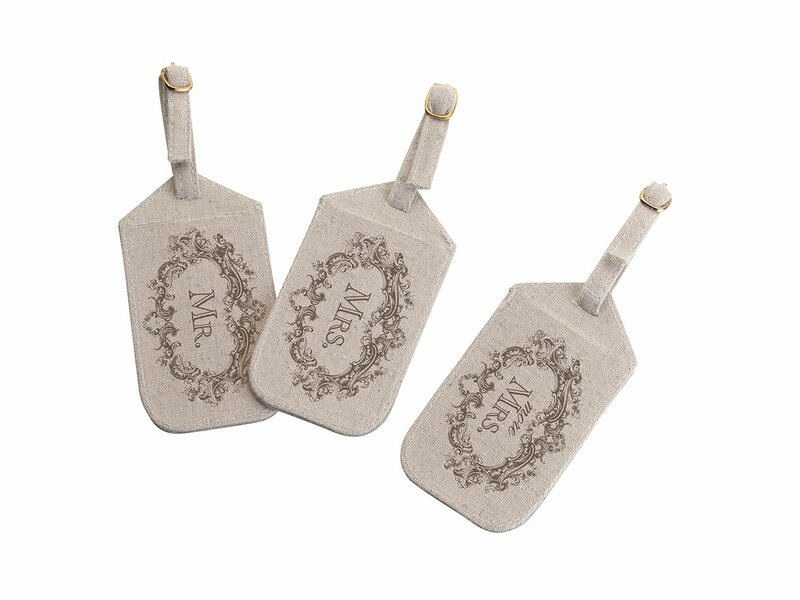 These 3 tan canvas luggage tags offer a fun way to identify luggage for the honeymoon. Each measures 2.25 inches x 4.75 inches. "Mr.," "Mrs." or "More Mrs.”is printed on each tag. On the flip side of each tag is a clear window with an I.D. card to be filled out. The card gives room to fill in your Name, Address, Phone and Email.